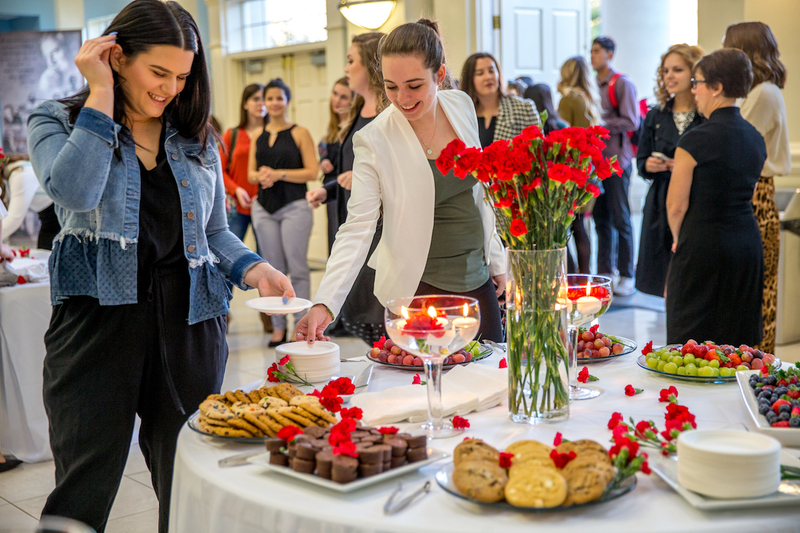 During the launch party for the 13th annual 2019 Family and Consumer Sciences (FACS), designers stood around the DeMoss Grand Lobby chatting and eating light refreshments from carnation-covered tables as they eagerly awaited the reveal of the 2019 theme for the fashion show. 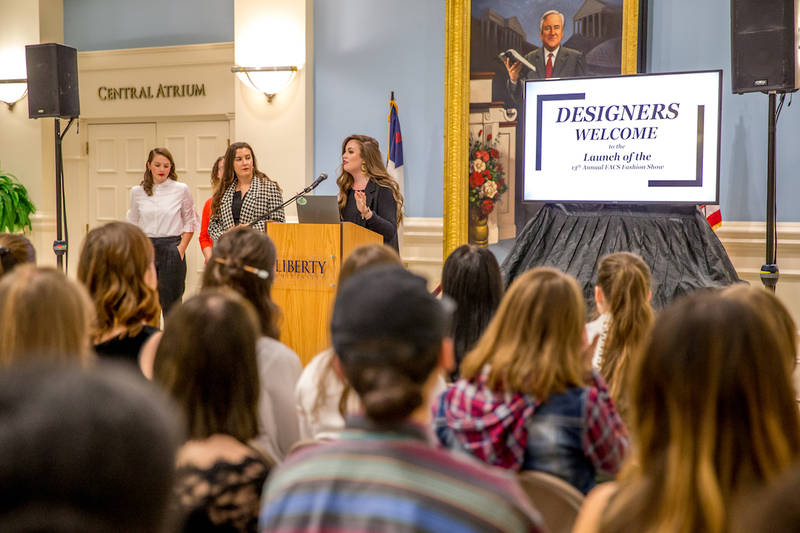 As the designers prepared themselves for the theme to be revealed, the director, senior Stephanie Sedmak, began her presentation of the individuals assisting her in organizing the show and the individuals who would be assisting the designers throughout the entire design process. The excitement in the room had reached its peak as Sedmak read aloud the theme. Fashions of past decades were evident as Sedmak walked the streets of New York City in the Summer of 2018. Sedmak and her team of organizers and volunteers began planning for the annual show during May of 2018. 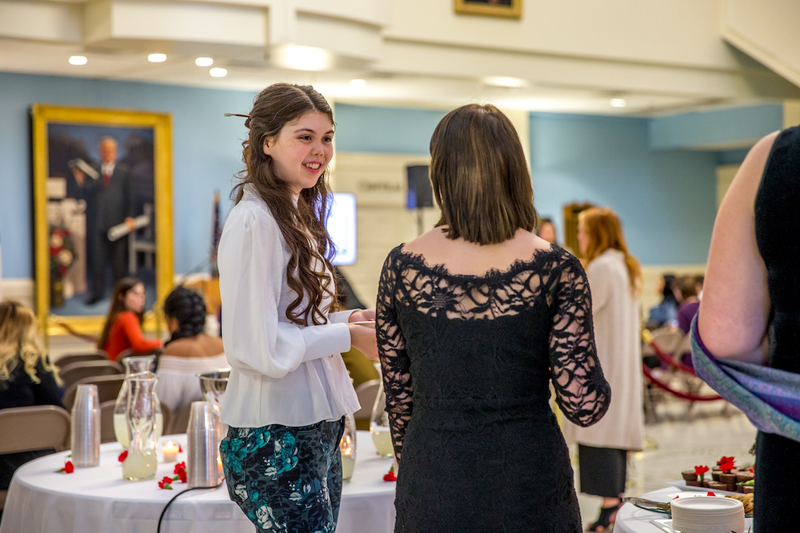 As the Oct. 23rd Fashion Show launch party plans began to take shape during the Spring and Summer of 2018, the theme still was not clear to Sedmak. Sedmak detailed to the designers her desire for them to aim towards more high fashion, red carpet type looks when thinking about the design. 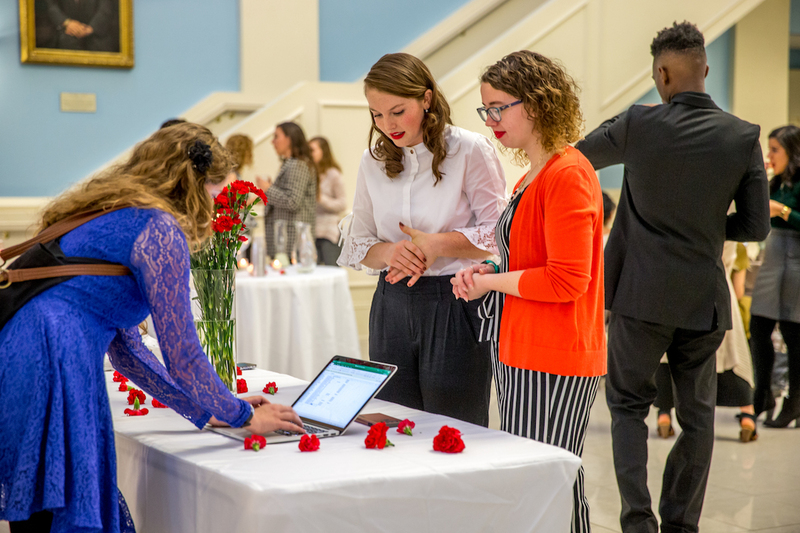 According to sophomore Jessica Suiter, the assistant director of the 2019 show and a past volunteer for the show, there is a lot for prospective attendees to look forward to in this year’s show. Suiter highlighted the dedication that the leadership team of the show has, to ensure quality from the designers of the show. “As they (the designers) start their designs, they will have several progress checks with the show leadership to help them stay on track to have a high-end show,” Suiter said. As the leadership continues to prepare for the show, they look forward to the end result. “We have been working on this concept for months and I really think we have some unique prospective from both the leadership and the designers that will contribute to make this a really great show,” Suiter said. The Spring of 2019 Fashion show is set to take place April 6th, 2019.